Worker is powered by the Booked plugin. It has everything your customers need to manage their own appointments. Worker offers Google Calendar compatibility. 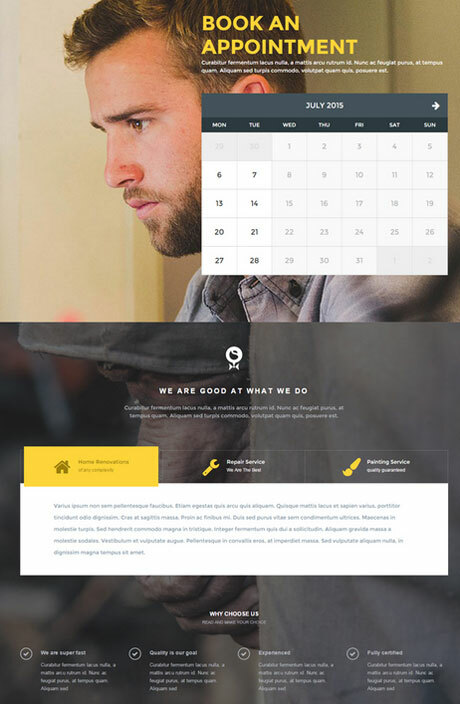 The theme has a responsive, translatable design. You can customize its colors easily. Emails for customers and admins can be customized. 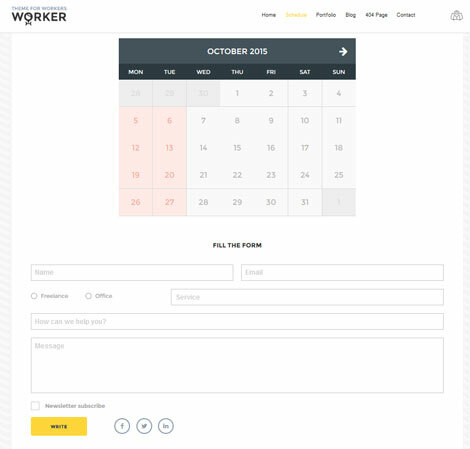 Worker has a clean design and lets you accept online bookings on your website. It comes with a calendar shortcode and widget. This is a commercial theme.